The weather is warming up and the days are getting longer. While we might welcome the perks of the season, it's important to remember that we aren't the only ones enjoying the weather. Fleas and other pests are coming out of hiding- which means it's important you make sure that your pet is protected. Find the right solution for your pet with this list of the top flea treatments and medications. This topical formula works to repel fleas and other pests for up to 30 days. By using fipronil and s-methoprene, this medication works to comprehensively eliminate all fleas on your dog or cat. This treatment kills all life stages of fleas on your pet and prevents reinfestation. 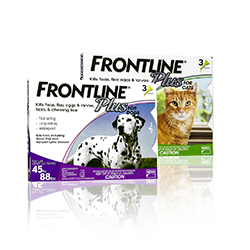 Frontline Plus is easy to use and waterproof to ensure that it remains effective for the full 30-day period. Advantage II is a topical treatment that protects cats or dogs from fleas and lice. This spot on medication uses imidacloprid and pyriproxyfen to kill and repel pests. It is widely celebrated for its fast-acting, integrated flea control that kills adult fleas within 12 hours of the first application. 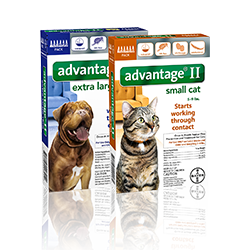 Similar to Frontline Plus, Advantage II comes in formulations for dogs and cats of various weights. Topicals aren’t for everyone and sometimes they can irritate your pet's skin. 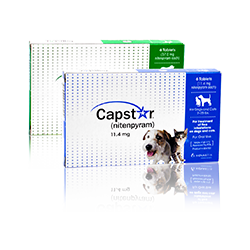 For customers who prefer a treatment in tablet form, Capstar Flea Control offers a variety of formulas for dogs and cats of different weights. This pill works to kill fleas and to prevent future infestations. This medication also has the added benefit of being safe for cats and dogs that are pregnant or nursing. 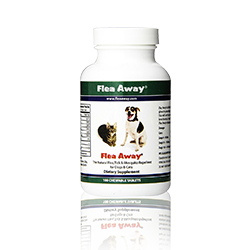 Flea Away, a chewable oral treatment, is unique in its reliance on a vitamin complex to ward away pests. This unconventional treatment causes your pet to produce a discrete odor that wards away insects. The tablets work to repel fleas, ticks and mosquitoes before they can land on your pet and each chew features a palatable liver flavor that makes it easy to administer. 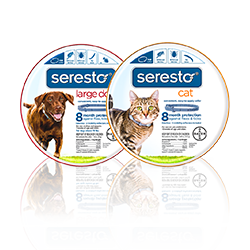 Seresto collars provide continuous protection without requiring the same vigilance as topical and oral treatments, which often require monthly application. Instead, these collars offer protection from pests for up to 8 months for an easy and affordable flea solution. Similar to other treatments, several collars exist with various formulas that cater to cats or to dogs. Another form of flea protection is a spray that works to kill and repel fleas from cats, dogs, and their environment. This spray has the advantage of being a one-size-fits-all solution for any household with both cats and dogs as well as younger pets such as kittens and puppies. 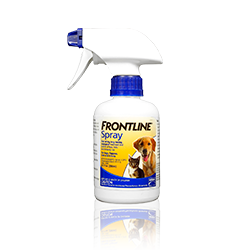 Frontline Flea Spray is formulated to be water-resistant to ensure that it remains effective even in the rain. It is also free of toxic insecticides that can be deadly for your pet. For owners that are wary of chemicals and other artificial solutions to flea infestations, Natural Chemistry offers a line of products that are perfect for protecting your pets. Using a blend of botanical ingredients, these products repel a variety of pesky insects from pets. Natural Chemistry offers several forms of protections, including sprays and shampoos. 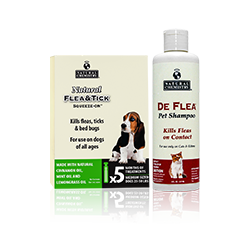 For a solution that is not as comprehensively natural as the previous two products, yet that still safely and effectively rids your pet and home of fleas, try De Flea products from Natural Chemistry. These treatments act as a supplement that can be used safely in conjunction with other flea medications. 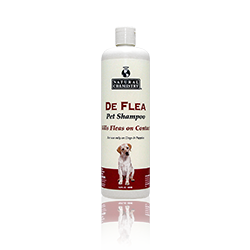 This product uses natural ingredients, among others, to kill fleas on contact. 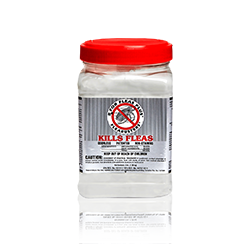 This powdered flea treatment works to protect your home and eliminate pests that may have infested your home. Fleas and other insects can often lurk in your home as larva or eggs awaiting the day that repellents and medications expire or wear off. To stop the flea life cycle in its tracks, Fleabusters Rx clings to carpet fibers and works into fine crevices. Fleabusters Rx may rid the interior of your home of any unwanted pests- but the area surrounding your home requires a special touch. 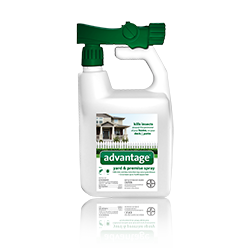 Advantage Yard & Premise Spray eradicates pests in a wide, outdoor area. This treatment is essential for owners that want to reclaim their yard and give their pet a space outdoors that is safe from the risk of infestation.